The recent hurricane has certainly up and it Florida real estate market. There are a lot of properties that have big “question marks” hanging over them. Some of been completely destroyed and the owners need to decide whether or not to rebuild. Others that were in the process of being sold on the market might have been damaged which could impact the sale. Even with all the dire news, there are still opportunities for development. 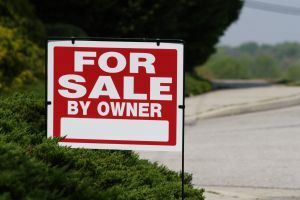 The first area to consider is foreclosure properties. Whether you’re investing in these properties for your own home or as an investment to flip, you want to make sure you handle the foreclosure cleanout fast. One call to Junk King Jacksonville gets it done. Typically, a foreclosed property has a lot of cosmetic damage. In other words, it could be structurally sound but the previous occupants stopped caring about the lawn or left behind all kinds of rubbish. That’s easy to fix with the Junk King Jacksonville team on the job. When you set up your appointment, you’ll actually be hiring a two-man crew and a big truck. This is the team that will be under your direct supervision. All you have to do is point to the things you want taken away and the junking crew will handle the rest. With a foreclosure cleanout, it might be the simple request to “take everything out.” That actually makes the work for Junk King a lot easier. In addition to removing everything from the inside of the house, the Junk King crew can also go around the exterior and pick up any rubbish or left over storm debris. All of this work has to be done before you can bring in contractors, painters and other workers to make improvements on the property. Most junk removal sessions handled by Junk King Jacksonville are completed within 24 to 48 hours of first contact. In that works best for your schedule to set up deal foreclosure clean out for weekend, then junk King can certainly accommodate. They don’t mind working on a Saturday or Sunday if that’s what it takes to get the job done. When you need a fast foreclosure clean out the only call to make is to Junk King Jacksonville. This entry was posted in Jacksonville junk removal and tagged foreclosure cleanout, Junk King, junk removal on September 30, 2017 by Junk King. Last updated October 1, 2017 .